For a lot of people, celebrity style is what determines whats in and whats out. While there are no doubt some celebrities known more for their style than others, we still love to see what they wear. I included some of my favorite recent celeb outfits and how you can recreate the look for yourself in a chic and affordable way. My ultimate style crush: Blake Lively. Looking super chic in Lanvin tuxedo pants, and a white button down shirt paired with a statement necklace and snake skin clutch. If you personally don't have over a thousand dollars to blow on pants like these, why not try out the equally chic look below? Jessica Alba's street style has always made me swoon, but this particular outfit is so simply chic, its impossible to not want to replicate. The pastel orange blazer with the white tucked in tank paired with dark wash skinnies and strappy silver heels is the epitome of chic street style. thanks johanna! 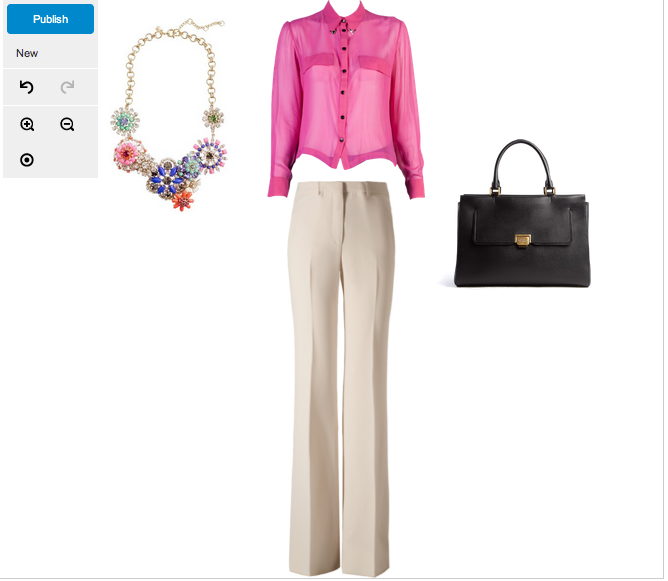 I found all of these looks on polyvore.com! Since this post was awhile ago, I don't know If I can go back and find all them! In the future, I will provide links to where you can buy these items! Check out my new blog at http://ashtynsfashions.wordpress.com and I'll be sure to do more "Get the Look" posts!